Campeiro horses originated from Spanish and Portugese horses that were introduced into Brazil by sea Captain Alveres Nunes during his journies from Santa Catarina to Paraguay. Their first expedition was in 1541 and Cabeza de Vaca landed with soldiers, seeds, cattle, and 46 horses. The first official records of horses in Santa Catarina were in 1728. During the 19th century the Campeiro was crossed with Thoroughbred and Arabian blood to refine their looks and improve performance. 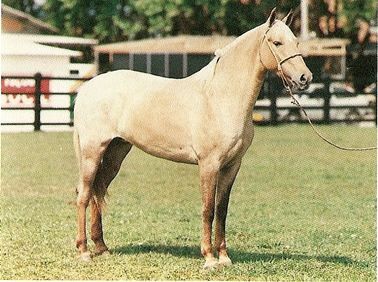 In 1976 the Brazilian Association of Campeiro Horse Breeders was founded and the herd book opened in 1985. On average they are 13.9 to 15.1 hands high. Their movement is elastic with a marchadore and trote step, there four beat gait is diagonal broken or laterally broken. Their head has a sub-convex facial profile; a wide strong neck with good linear musculature; and a wide muscular chest. Their back is medium length, muscular, and well arche. Their legs are muscular with good hooves. They are found in chestnut, bay, and buckskin.